Sparco Sportswear - Jacket - Waistcoat UNIVERSAL - Dezod Motorsports Inc - Home of the automotive performance enthusiast since 2002. 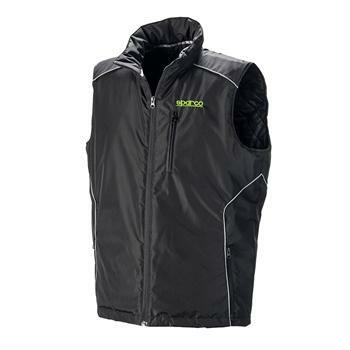 The Sparco Waistcoat is the perfect winter vest, boasting a waterproof outer with padded lining. Outside is 100% polyester with a polyurethane coating and the lining is 100%. Three outside pockets and two inside pockets combined with Sparco cutting edge styling makes this the ideal piece for the street or track.